Hey all, welcome to session 11! Here’s a confession: I never felt like I have enough skills to do PR. It’s a little bit intimidating to put yourself out there and face lots of potential rejections, and it’s also hard to really know where to get started and what to do first. 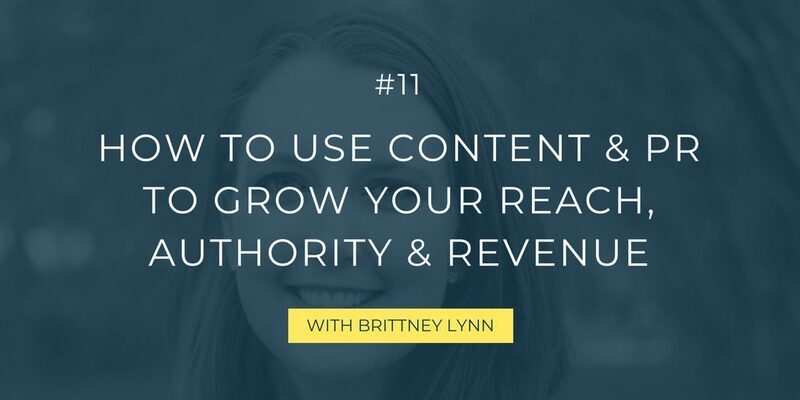 This is exactly why my guest in this episode is Brittney Lynn, a PR & online marketing strategist working with women entrepreneurs worldwide. She has almost 10 years of experience (how brilliant is that?!) 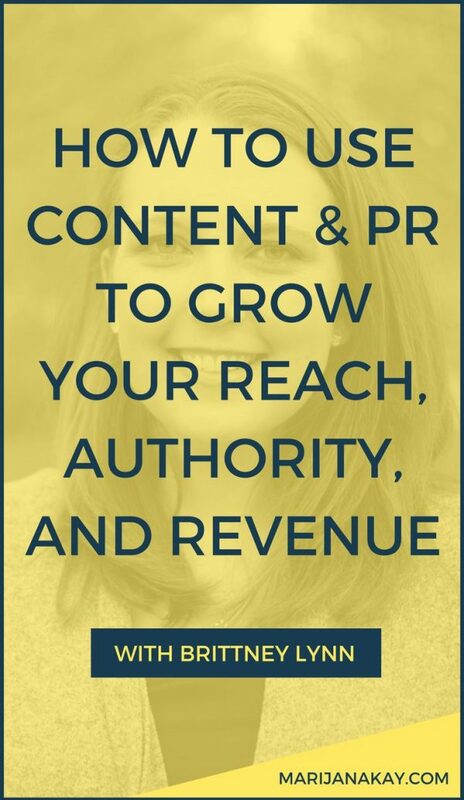 working in the online marketing industry and has a passion for helping others grow their brand through strategic PR. She also the hosts the Day in the Life podcast, which gives a glimpse into the daily lives of people from across the world who work in a variety of industries; you’re gonna want to listen to that, too! 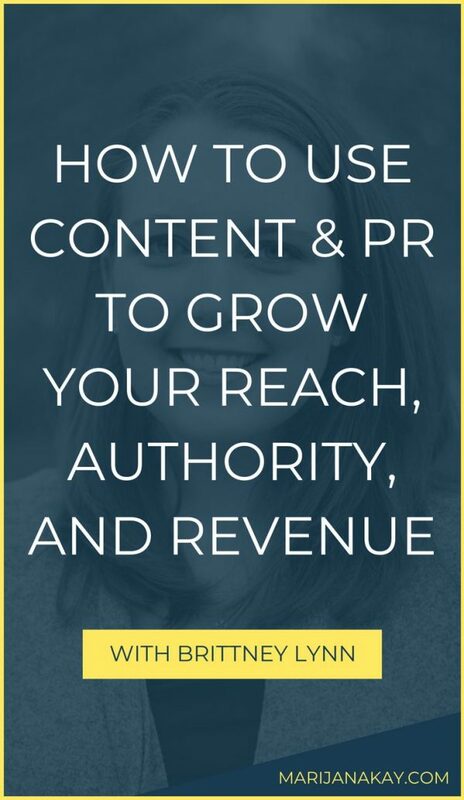 In this chat, she uncovered so many valuable tips and actions you can take right now to use your content to build your presence through PR.